How to ensure employees are competent? What is the actual difference between training and competence? I am a Graduate member of IOSH with NEBOSH IG Certificate, C & G Level 5 Occupational Health & Safety and a trained OHSAS 18001 (Health & Safety) Auditor. Since 1985 I have managed, coordinated, developed and implemented HSE training on 7 major projects. I have promoted Health and Safety culture in all positions. Personally developed and implemented related policies and procedures. Developed and monitored organizational Safety Training & individual competency levels. 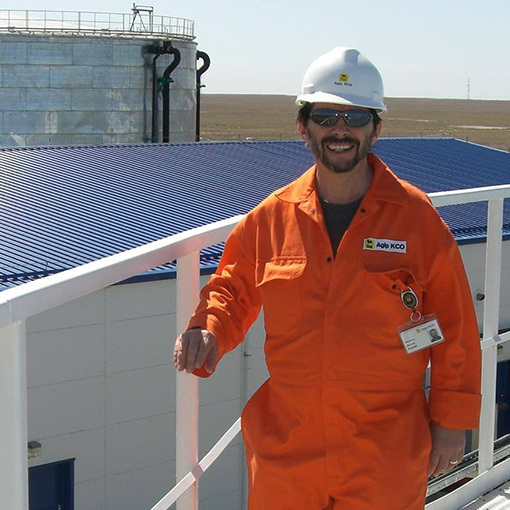 Developed an extensive bank of competency profiles for most oil & gas related positions. I have introduced Construction Safety system of working in six “green field” construction sites. I am experienced in the identification and control of Health & Safety risks. Experienced in the control and auditing of contractors HSE performance, participating in both active and reactive monitoring and benchmarking of standards. I have been closely involved in the development of Behavioral Safety and the support training and monitoring. Developed promotional and internal marketing initiatives to promote behavioral based HSE. In each of my roles, I have been responsible for Training Needs Analysis of workers, as a first step towards performance improvement and introduction of a competency system and related Safety Training initiatives. I also have experience of training security officers while working with Qatar Gas. More recently while working with Cegelec, I was closely involved in the mitigation of risks relating to Ebola and the application of IOC levels of safety awareness in the training centre and campus. I have a bank of HSE training Materials, lesson plans / handouts and presentations which could be modified to suit a client’s requirements.